What Is the Connection Between Bipolar and Marijuana? The relations between bipolar and marijuana is complicated and we get most of it covered. Bonus, know if marijuana can help other medical conditions. When looking into the use of medical marijuana on bipolar disorder, it is first important to understand how marijuana can affect the chemical structure in the brain. 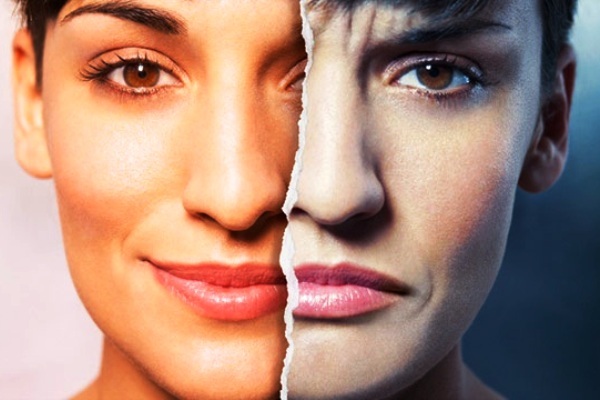 Bipolar disorder is an organic mental health condition where sufferers go through periods of too much energy (manic phase) and periods of low energy (depressive phase). Normally, synthetic mood stabilizers and therapy are used to manage the condition. In recent times, guidelines for the use of medical marijuana have expanded to include mood disorders in some states. There is scientific research being done to see if marijuana can help reduce the swings and prevent manic or psychotic symptoms. Can Bipolar Be Treated with Marijuana? While there is not much research on the connection between marijuana and bipolar disorder, some results indicated that it may be beneficial in lessening mood swings. It may help to stabilize moods and begin working with the first use. However, in some cases there was a worsening of the condition. Synthetic drugs often take weeks to work and but often have dangerous side-effects that reduce compliance with staying on the medication. Another issue is that sufferers begin to "feel better" and stop taking medications because they feel more under control. This often leads to a return of symptoms and rapid shifts from manic phases to depression. The relation between bipolar disorder and marijuana is the effect marijuana has on the endocannabinoid receptors. Research has shown that the cannabinoids THC and CBD may help to stabilize moods. This may have benefits for medical marijuana users. Furthermore, in studies under certain conditions, THC helped to reduce anxiety, stabilize moods, and had antidepressant effects. Subjects noticed better moods, and improvement in overall well-being. Medical marijuana also helps in disorders such as MS, cancer, and seizure disorders. Medical marijuana has already been successfully used for conditions like; chemotherapy treatment side-effects, increasing appetite in people who suffer from anorexia, many pain syndromes, and conditions that cause nausea. People using it have reported good results. In mental health, however, the drug has not been widely used in the medical industry and has not been researched. Due to being illegal under Federal Law, marijuana cannot be studied in states where it is illegal. This brings few discoveries in the exact relation between marijuana and bipolar. However, there are indeed some things to need to be well considered. It is hard to predict how people as a whole will react to treatment with marijuana for bipolar disorder, because the exact cause is still unknown. Both marijuana and synthetic mood stabilizers have positive effects on mood swings, but synthetic stabilizers have more studies behind them. 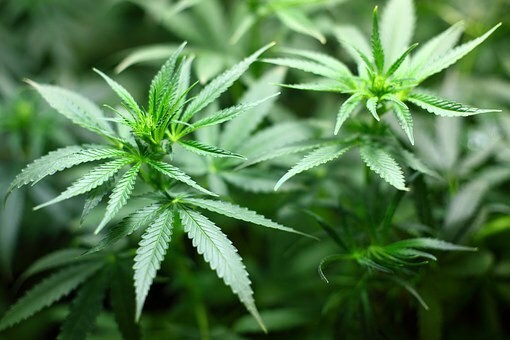 Until more is known about bipolar disorder, the use of medical marijuana could pose risks. It is known that the use of marijuana will not cause psychiatric disorders, but it could cause symptoms that mimic the effects of other disorders. This would make it hard to differentiate and diagnose any underlying mental illness that may go along with bipolar disorder. If using the right strain, the THC in marijuana can calm anxiety attacks and have a soothing effect on the body. However, some report that the use of marijuana can actually cause anxiety. This is especially true when used in edible form and too much is taken. Marijuana also has a high incidence of "paradoxical reactions." This is most common when being used for anxiety. In some users, marijuana can cause anxiety or panic attacks. There are over 400 substances in marijuana, and only cannabidiol and THC are understood. While THC acts on the nervous system and cannabinoid receptors, other unknown chemical reactions could occur in the body that have adverse effects. When it comes to marijuana and bipolar, researchers are unsure about how to deliver the drug to be most effective for mental health issues. They have to be able to lock in a dosage and mode of delivery. There are a few FDA approved drugs using THC for appetite, but very little cannabinoid actually reaches the bloodstream. Maybe not even enough to cross the blood brain barrier and relieve symptoms of mental illness. Marijuana is a mild hallucinogen and may induce episodes of psychosis. Young teenagers are the highest risk of this happening. This is thought to be another genetic factor and may only happen to people with a COMT gene variant. Long-term marijuana use may impair executive functioning, increase memory loss, and cause trouble thinking. Conflicting reports from research show that since marijuana lowers the psychotic threshold, it may slow down the transition into psychotic episodes. This could reduce the need for anti-psychotic medications. Other studies show that in some people it may raise the psychotic threshold and speed up the transition of bipolar swings. Other studies show that using medical marijuana at an early age may lower the onset age of bipolar disorder and increase cases in young teens. Migraines: Migraines may be physical pain, but they are often caused by over-stimulation of the neurotransmitters in the brain. Marijuana calms the neural system to help relieve migraines. It is also reported to be helpful with other side symptoms like sensitivity to light and nausea. Anxiety: The right strain of marijuana can slow down thoughts which sometimes lead to intense anxiety over worry and tense situations. Insomnia: Using edible medical marijuana before bed with some milk may be very helpful in falling asleep and staying asleep all night. Edibles have a very slow onset and should not be overused, but have less side-effects and addictive qualities than synthetic sleep aids. Depression: Marijuana has been reported to raise mood levels in people who suffer from depression. People who suffer from both anxiety and depression noted feeling calmer and happier with relief of both low moods and anxious tendencies. There are various types of mental disorders, involving anxiety disorders, depression, behavioral disorders, thought disorders, substance-abuse disorders, etc. Could Stress Make Your Nose Bleeds? Does Valerian Root Really Work for Sleep Problem?